The Peabody family lived on Northfield Road for over 200 years and the home at 524 Northfield Road became known over the years as the “Peabody Homestead”. It was built in 1730 by Captain Richard Peabody and was continuously occupied by his descendants for nine generations. The home at 540 Northfield Road was built in the early 1800’s by Oliver Peabody and was eventually occupied by Reginald Peabody and his wife, Helen. Over the years the Peabody family always farmed their land, but they were shoemakers by trade. The Peabody Conservation Area was part of the original homestead and was donated to North County Land Trust by Reg and Helen’s grandson, Bill Millington and Jan Storm. 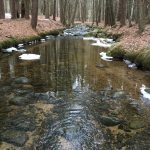 The Mulpus Brook, a cold-water fish resource, has its headwaters in the northwestern section of Lunenburg and runs across the northern section of the conservation area. The surrounding woodlands consist mostly of white pine and hemlock with an understory of mountain laurel, high and low bush blueberry, wild strawberry, wintergreen, club moss and fern. There is a small wetland area on the western boundary and an intermittent stream emerging from it bisects the property. The Peabody Conservation Area opened to the public in August 2018. Permitted trail access across private property allows for parking at the Town of Lunenburg Lane Conservation on Holman St. 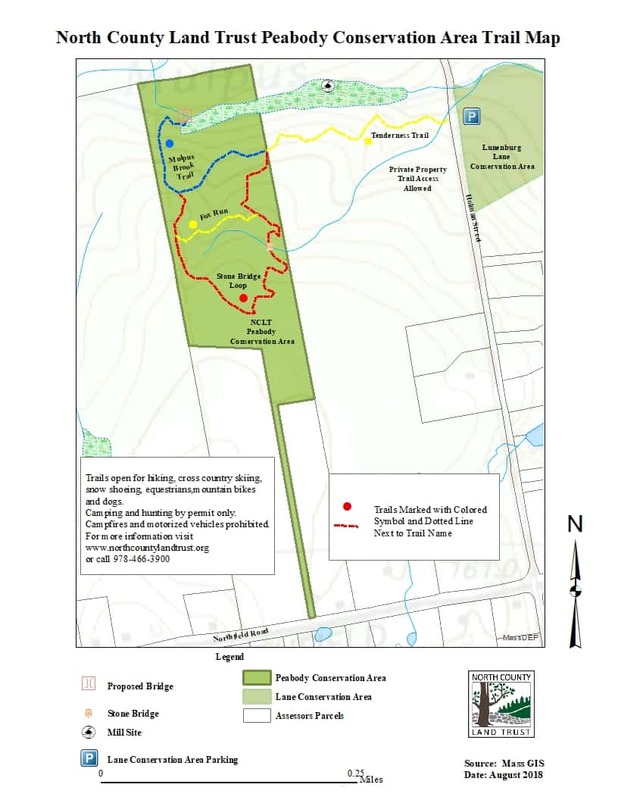 Trail parking is at the Lane Conservation Area parking lot on Holman St and a private landowner has generously agreed to a trail across his property to lead to the Peabody Conservation area trail system.